What is your most valuable asset? I recently organized a panel on personal finance and one of my fellow panelists asked this important question. The audience stared at him blankly. No one wanted to answer the question! Well, I won’t keep you in suspense. It’s you. You are your most valuable asset. And when it comes to money management, you need to invest in yourself and protect yourself just as you would invest in stocks and insure your home. When you sit down to consider your financial situation think about whether you are cultivating your human capital. Human capital is the value of your future income. The younger you are, the larger your human capital because you have more time to work and earn money. Developing and protecting your human capital is an important part of managing your finances. Financial experts and economists are encouraging people to look beyond the standard idea of net worth (how your liabilities (e.g., mortgage, student loans, etc.) stack up against your assets (e.g., home value, retirement accounts, investments, etc.)) and consider how their future financial worth factors into their financial life. This concept is gaining more attention in the financial planning arena because your earning potential can have a large impact on your lifestyle, your ability to retire, your ability to fund your children’s education, etc. The list goes on and on. Building your human capital can increase your income and can increase your ability to reach your financial goals in the future. Essentially, you are investing in you. How Do I Cultivate My Human Capital? Training and Education. Is there a certification you’ve been eyeing that will increase your chances of getting promoted? Is there a class you can take that will allow you to learn new skills? Don’t overlook classes and trainings that will increase or diversify your skill set. You may have to pay for those classes but consider what the return will be on your investment. It may be well worth the expense. And if your employer will pay for the classes, stop reading now and go sign up. Go ahead. You can come back and finish reading this post AFTER you have taken steps to increase your skill set and earning ability. There are few excuses if you can develop new skills on someone else’s dime. Volunteer. You can volunteer for a charity or you can give your time to a professional organization. Whatever you choose to do, don’t overlook the experience and skills that can come with donating your time, energy and expertise. I listen to people talk about how they want to change jobs but don’t have the experience to move into a new position. Find out if you can volunteer to do the work you want to do! Volunteer work can teach you new skills, make you more marketable and give you the opportunity to help others and yourself at the same time. Active Involvement in Your Career Development. When I started my legal career, I went to work, got my assignments, put my head down and worked. My academic success came from hard work so why change what works? Because success in business is not just about who works the hardest. Who you know, what you can offer your company and how you relate to people are all extremely important. You could be the smartest person in the office but if people can’t relate to you, it’s unlikely that anyone will have your back when promotions are being discussed. Cultivate relationships and seek out mentors. Volunteer for new projects. Become an expert in a new area. All of these things will help you develop important human capital. Network and Maintain Contacts. You are more likely to get your foot in the door if you know someone behind the door. Join a professional organization and meet new people. Maintain contact with people and don’t wait until you need something to cultivate those relationships. Make sure your relationships are a two-way street. Offer to help people when you can and you’ll receive help when you need it. How Do I Protect My Human Capital? Disability Insurance. What happens if you become injured and can’t work? You want to protect yourself and your family by having disability insurance. Disability insurance will cover part of your salary when you are unable to work. Disabilities can often have a devastating effect on your finances because not only are you not working but you are also running up medical bills to treat your injury. Protect yourself and your capital. Make sure you consider your future earnings when you are planning your next career and financial moves. While you don’t know the future and can’t exactly predict your future net worth, you can take steps to protect and invest in the most valuable asset you have. You. Kimberly Allman, Esq. is a financial planner and the President of Allman Financial Planning, LLC where she assists individuals who are seeking to improve their financial health. 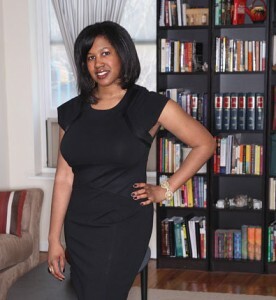 She is also the Manager of Homeownership Preservation for the New York Mortgage Coalition where she provides assistance to homeowners in distress through seminars, informational workshops and one-on-one counseling. She started her career as a corporate lawyer where she advised clients on a variety of investment products including hedge funds, mutual funds, structured products and real estate investment trusts. © 2015, Shalena D.I.V.A. – Personal Branding| Content Marketing| Product Creation. All rights reserved. I have fallen off the beaten path recently and I’m fighting my way back. I’m so glad I’m in my blog bag again. https://www.shalenadiva.com is my baby. I feel so good when I giev others a platform to share their stories or share expertise. 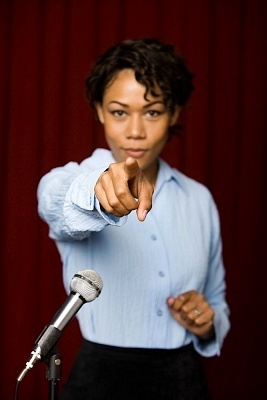 I’m hoping I get nominated for a Black Weblog Award so I can help even more people. I need to find a spring class through my adult continuing education center. i try to take one each season. I also need to take better care of my health and that of my family’s. I also need to take care of some financial thigns, too. But one thing at a time. I gotta keep grinding! I’m going for better health if u would stop beating on me!!! Thanks for asking Shalena!! thats right-you are the most valuable asset,thats why u need to invest in yourself to increase your value,thats why we need to work with ourselves quite hard.. I also think we need to increase our own self love and build up our self image. Taht goes a loooonnnggg way. Just think about it, you are more comfortable trying new things when you believe in yourself or love yourself enough to give yourself a chance at better health. That was a great read. Thanks Shalena!! @Yvonne– Kim is a great writer and she makes hard topics seem so easy. Thanks Shalena! @Yvonne, I’m glad you enjoyed it. I’ll make sure I keep the information coming. Shalena Diva Girls Empowerment In The News!! !